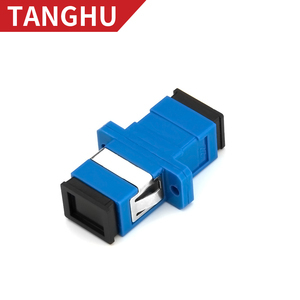 Tanghu Group Corporation owns Shanghai Tanghu Optical Fiber Equipment Co., Ltd. Powerful company 10 years experience ,our company Shanghai Tanghu Optical Fiber Equipment Co., Ltd. Q: Are you a factory or a trading company9 A: We are a high-tech enterprise integrating production, sales and service. 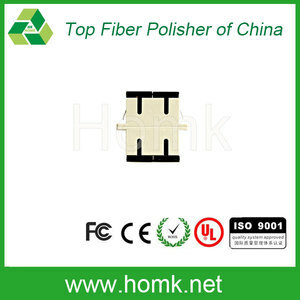 Cheap price Singlemode Duplex FC/UPC fiber optic adapter Product Details Features: Zirconia ceramic ferrule with high durability and reliability. 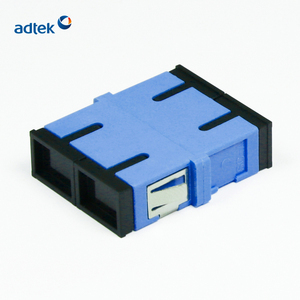 UPC/APC type available Application s: Telecommunication networks. CATV systerm FTTH (fiber to the home) Specification s: Connector Type FC, SC, ST, LC, MPO, etc. 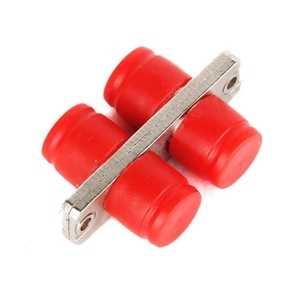 Free Sample LC duplex single mode APC fiber optic adapter Fiber optic adapters join separated connectors. Generally there are 2 types of alignment sleeve within an adapter-phosphor bronze for multimode and ceramic for singlemode. It obtains the good reputations all these years from customers around the earth for its short lead-time, fast delivery, and timely after-services. SC/PC Multimode Duplex Fiber Optic Adapter(Black Dust Cap) Detailed Images Type: single mode multi use Application&#65306; Optical fiber communication system Optical data transmission Optical instrument Optical access network Fiber sensor Q1. What are features of our adapter9 1.Excellent changeability and directivity 2.100% Optic test (Insertion Loss) 3.Ceramic and phosphor bronze sleeve tube optional 4.Accurate external size 5.Individually packaged Q2. What are specifications of our goods9 Please find data in blow form Q3. What are applications9 1.Fiber optic transmission system 2.CATV networks 3.LAN Testing/Measurement Instruments 4.Fiber distribution frame, Mounts in Fiber Optic Wall Mount and Rack Mount Cabinets Factory Packing & Delivery We hope goods arrive on time, but since this is an international delivery, shipping time will be highly depended on the deliver company and local customs/duties. We will try our best. Thank you for your kindly understanding. 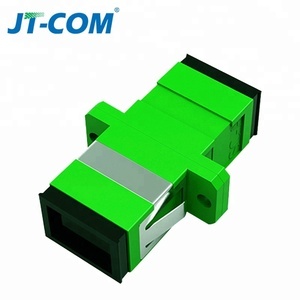 Optic RoHS SGS CE UPC APC Fiber connection Duplex Lime Green LC om5 adapter Product Name Optic RoHS SGS CE UPC APC Fiber connection Duplex Lime Green LC om5 adapter Modle Number LC OM5 DX One-piece Adapter Symmetry-Type Inserion Loss &le;0.3dB Durability &gt;1000 times Operating Temp -40~70&deg;C Material Plastic Application FTTx,LAN,CATV,Telecom Certification RoHS,SGS,CE Connector Type LC-LC Polish Type UPC;APC Fiber Mode Singlemode; Multimode; OM3; OM4;OM5 Color SM:Blue,Green MM:Beige OM3:Aqua OM4:Violet OM5:Lime green Core Duplex Flange with flange/with ear; Form of sale Neutral/OEM/ODM Use Fiber connection Custom Design welcom Sample Lead Time within 7 days after confirmation Advantage Best price,best service Payment Terms T/T in advance; Others(subject to negotiation between both parties) Features &bull;Excellent Temperature stability &bull;Low insertion loss ,high return loss &bull;Good repeatability and exchangeability &bull;Excellent mechanical endurance &bull;Customer defined specifications &bull;Compliant with Telcordia,TIA/EIA and IEC Insertion loss(typical) &le;0.3dB Interchangeability &le; 0.2dB Vibration &le; 0.2dB Repeatability &le; 0.2dB Durability &gt;1000 times Operating temperature -40&tilde;75&deg;c Storage temperature -45&tilde;85&deg;c &bull; Low insertion loss,high return loss &bull; Excellent Temperature stability &bull; Good repeatability and exchangeability &bull; Excellent mechanical endurance &bull; Strict curing time and temperature control &bull; Strict testing standards and methods for quality &bull; Environment protection (ROHS Compliance) &bull; The fiber optical patch cord can be customized according to customers'specific requirements (Customized Connector/Length/package. ) &bull; 100% NEW raw material and well quality control ensure the best life time. 3 YRS Ningbo MAX Electronic Technology Co., Ltd.
SC UPC Duplex singlemode, blue plastic housing. An adapter is a mechanical device designed to align fiber-optic connectors. It contains the interconnect sleeve, that holds the two ferrules together. LC/APC Fiber optial Duplex Patch cord Adapter /cable Adapter 1. 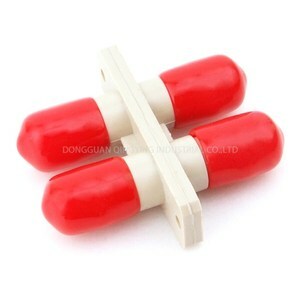 Do you provide samples9 Yes, we accept sample order. 2.How long can I expect to get the sample9 A: It will be ready for delivery in 3 - 15 days, depends on the feature of your sample. ,Ltd is a Hi-tech enterprise having a self-owned brand and specializing in the R&D, manufacture and sales of fiber optical communications equipment Main products: fiber optic patch cords, connectors, adapters, optical couplers, attenuators, optic splice closures, optic terminal boxes, ODF, etc. Simplex/duplex sc optical fiber adapter upc/apc sc flange adaptor Description: Fiber optic adapter is also called fiber optic coupler. It contains the interconnect sleeve, that holds the two ferrules together. It is used to provide a cable to cable fiber connection. ,Ltd is a high-tech enterprise specializing in the R&D and manufacture of optical communication components, which including optical cable, patch cord,pigtail,adapter ,PLC splitter,attenuator&hellip;. our company has introduced advanced technology and testing equipment from the United States, E urope and Japan to ensure providing excellent quality and integrated solutoin to our customer. 2. What is your fiber brand9 Fiber brands including : Corning, Fujikura,YOFC 3. What is your main products9 Optical patch cords SC/LC/FC/ST; MTP/MPO optical patch cord. 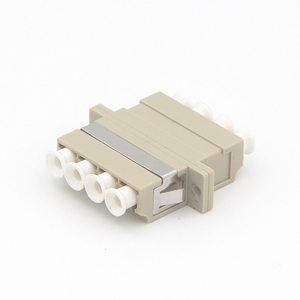 SC/FC/ST/LC SM/MM Simplex/Duplex Fiber Optic Adapter Description Fiber optic adapters are used in connecting fiber optic connectors. It&rsquo;s called Hybrid fiber optic adapter when the opposite connectors are different. 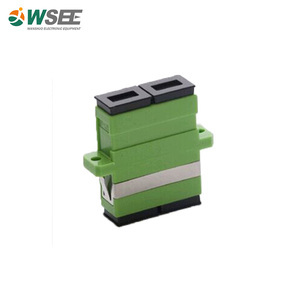 Features Low insertion loss, high return loss Good compatibility High reliability & stability Compact design Comply with YD/T 127.2. 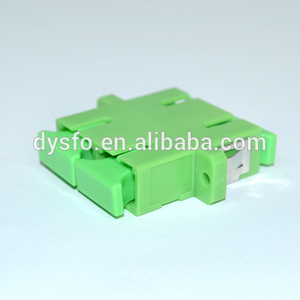 Alibaba.com offers 4,161 duplex fiber adapters products. About 89% of these are fiber optic equipment, 1% are adapters. A wide variety of duplex fiber adapters options are available to you, such as free samples, paid samples. There are 4,161 duplex fiber adapters suppliers, mainly located in Asia. The top supplying country is China (Mainland), which supply 100% of duplex fiber adapters respectively. Duplex fiber adapters products are most popular in South America, Western Europe, and North America. You can ensure product safety by selecting from certified suppliers, including 1,631 with ISO9001, 229 with Other, and 139 with ISO14001 certification.